Are you someone who’s thinking of working with either one or more than one freelance content marketer? Ideally, you will have a wide array of choice among many freelancers to choose from. For example, did you know that in between 2014 and 2016, there were more than 2 million working freelancers in the United States of America? You’ll be rather surprised to know that the numbers of freelancers are growing every day. With the popularity of remote employees, every office is employing a fair number of freelance workers who work from home. This is why the freelance economy is looking larger and hiring such content marketers is both appealing and overwhelming. All businesses have a head of both marketing departments and content marketing departments. In case the business is pretty small, the business owners do marketing on their own. But the fact is that marketing is lot of work. If you could work along with a freelance content marketer, you could probably alleviate the load. For instance, one content market can be a specialist in a particular type of content and another might be an expert in landing pages and sales. Making the wrong choice on a content marketer – What is the consequence? It is pretty sad to note that making the wrong choice will waste both your time and money. This usually leads to hiring more people to compensate the poor results brought about by the wrong content marketers. 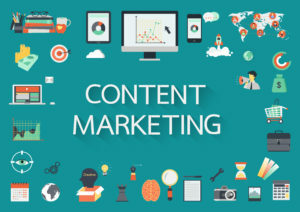 Nevertheless, the worst situation might happen when you end up making hasty decisions and blindly approach the process of hiring freelance content marketers. Would you like to know what qualities make a freelance content marketer a perfect choice for your company? Here are few qualities to watch out for. A person’s reputation can speak a lot about the quality of work that you can expect from the candidate. You will tend to know about all that by taking a look at the past clients, testimonials and by checking out the ‘featured on’ section of the website of the freelancer. If you’re hiring a newbie freelancer, you need to check their work history, go through the guest posts that they wrote and their references. Social proof is nothing but an endorsement which you’re worth hiring. Since there are other people who have already taken a chance on you, hence the risk factor associated with hiring you will move down the notch. This is why endorsement is way more powerful than what you may perceive it to be. If you know the company which is mentioned in the testimonial page of the candidate, this will probably have an influence on the opinion. Statistics and numbers are the most vital things for you to take into account while hiring freelance content marketers. The statistics and numbers usually cover some of the main factors like social media shares, total number of comments and Google search engine rankings. So, what is the best way in which you can find out these numbers? How many views do your blog get in a week? What is the level of engagement? Apart from the above mentioned skills, you should also consider searching for few other relevant skills. Just being a content writer, email marketer and YouTuber is not all that you need. The average content marketer’s work is not just about relating a story as there are many other skills to look for.